CLAREVASA | Clean Away Artery Plaques - FOH Inc. Here are two irrefutable facts that have been proven true over and over again: We are NOT completely helpless when it comes to heart disease and stroke. Atherosclerosis is NOT incurable as standard mass medicine wants us to believe. However, there is another fact that is still not widely known: Those who have an increased risk of developing atherosclerosis and/or have been diagnosed with atherosclerosis do benefit from the micronutritional arterial cleansing and in this way are able to regain control over cardiovascular system that has been endangered or already affected by the buildup of atherosclerotic plaques. The concept of arterial cleansing, or rather arterial self-cleansing, is NOT a pie-in-the-sky idea. It is for real and it does work. For a lot of people. And it contributes not only to our freedom from cardiovascular disease, but also to our optimum health, that is our ability to function at our best. Originated in the late 1970s in the United States, it has been successfully used by hundreds of thousands of people from almost all walks of life, including physicians and other health professionals. But when, after reading about this self-help method for reducing the buildup of atherosclerotic plaque in the arteries nutritionally, you go back to your doctor or a specialist for an opinion, you most likely will hear something like, "Arterial cleansing?! Hogwash, a pie in the sky! Whom are you going to trust? Some guys on the Internet? I am your doctor. And, as a medical professional responsible for your health, I can't be a part of any dubious alternatives. So, let's not waste each other's time discussing something that most likely isn't going to do you any good. I've no time for such newfangled nonsense." That is to say, don't question me, just do what I tell you, or you're going to regret it. No, this is not an unfair exaggeration! Simply, a part of the harsh reality we are all in. In a way, this is a classical catch-22 situation: When dealing with doctors, you must be aware that you should not have blind faith in them and, the same time, let them do their work. Not being sure, then, of who's actually giving you the correct and unbiased information about the solution to your problem, you may face a real dilemma, a serious problem of trust. However, if - despite accepting and following your doctor's routine orders - you are still not doing well, you should look at your situation honestly and ask yourself, "Am I willing to try a different route?" It's a well-known fact that no one is immune to well-meaning but sometimes misguided advice from MDs. Yes, they are professionals with medical degrees - but not with nutrition degrees. As a matter of fact, most medical schools are not providing adequate nutrition instruction. Less than 6 percent of graduating physicians in the United States receive any formal training in nutrition. As nutritional science has been excised from the medical school curriculum, most physicians have been, and still are, misinformed, or even ill-informed, about nutrition. In fact, some practitioners discourage their patients from taking nutritional supplements because it's just - to quote one doctor - "putting a lot of pills in the mouth and having them ALL going out at the other end." What an accurate and descriptive explanation, by the way. Enough to boost your metabolism. Yes, it's all been done for a reason. There's no wonder that twenty-five percent - or one in four - of Americans over the age of 40 are currently taking statins. They have been told that lowering cholesterol is good for them. O sancta simplicitas, pardon my Latin. Sophisticated pharmaceutical drugs decrease the risk of heart attack and stroke by... up to 30 percent. Meanwhile, scientific research says the contrary. According to a recent Japanese trial funded by Pfizer, even an intensive, aggressive blood pressure and lipid-lowering treatment didn't slow down atherosclerosis any better - the primary endpoint of coronary plaque volume, the lumen and vessel volume weren't different (Impact of combined lipid lowering with calcium channel antagonist-based blood pressure control on coronary plaque regression: MILLION Study" SCAI 2015). Finally, in closing of this little intro and as a reminder, I would like to quote a few words of guidance that might be in order, especially for the less patient readers: "Don't walk in front of me - I may not follow; don't walk behind - I may not lead; walk beside me and just be my friend." Now, I guess, it's time to introduce myself. Hello, I am Andrew Mierzejewski, a bioenergy healing facilitator and a registered holistic nutritionist specializing in micronutrition. For over twenty years, I have been a firm advocate of the concept of micronutritional arterial cleansing - a targeted multiple-micronutrient supplementation geared to eradicating atherosclerosis rather than relieving the symptoms of this ruthless killer stalking people in their most productive period of life. Fortunately, or unfortunately as the case may be, I am not a medical doctor. I don't try to play Dr. Google either, although I may sound like one sometimes. Also, I am not a magician pulling out of my hat a potion that can "fix or cure" everybody in the audience. Lastly, I'm not a snake-oil salesman by any means. For over the twenty years, I have been participating in bringing to public awareness a message that atherosclerotic processes in the cardiovascular system can be halted and/or reversed nutritionally; so, contrary to standard mass medicine, the need for commonly performed surgeries and widely prescribed medications can be substantially reduced and, in many cases, completely avoided. It's not easy, as you might guess, to take a public stand on the nutritional healing, especially in today's disease-based and doctor-centered model of health care. It won't be a surprise, then, to anyone that I have been many times bashed (but not silenced!) with comments like: "You're nothing but a scam artist; you should be ashamed of yourself for saying that 'arterial cleansing' can help people afflicted by atherosclerosis; what you preach is nothing more than a placebo hocus-pocus." And my favorite: "You are in a cult of pseudoscience quacks!" Well, what can I say? Although what other people think of me is none of my business, as Wayne Dyer put it, rightly so, getting such a blatantly negative opinion hurts, it really does. But I stay positive because when people try to hurt us, they are just sharing an extension of them. So, the only way to defend ourselves is not to let these people's mean spirit wrap itself around us. In other words, nothing bad can happen unless we let it happen. Now, before you begin telling me the arterial cleansing is impossible or - depending on the degree of your disapproval of this message - the whole concept is dubious, unverified, controversial, disputatious, etc., let me ask you a question, "If you knew how to reduce your spouse's or best friend's risk of a heart attack or stroke without the need for drugs or surgery - wouldn't you want to tell the world about it?" From time to time you may hear or read "scientific" reports allegedly showing that such-and-such vitamin doesn't work or may even be harmful to your health. They are a perfect example of the existing and often uninformed prejudice against nutritional supplements as unnecessary and unsafe. I sincerely hope that you do not believe in such anti-supplement nonsense discouraging their use; and - most importantly - you won't allow these saboteurs distract you from achieving and maintaining your arterial health through optimum nutrition. It's a well-documented fact that taking complex, high-quality targeted supplementation is critical to fill in the nutritional gaps left by a poor diet, high stress, malabsorption issues and other deficiency-related concerns. "To present to all who want the knowledge a natural, nutritional alternative through which individuals at risk of, afflicted or endangered by atherosclerosis can halt the progression of this serious and life-threatening condition and, therefore, substantially reduce the need for surgery and/or widely prescribed medications that mainly alleviate the symptoms and/or slow down their progression, and may prompt multiple side effects." As the best decision is an informed decision, I firmly believe that my presentation of the nutritional arterial cleansing at least will encourage some of the readers to consider using this self-help method as part of, or in combination with standard medical methods currently available and offered to the public. In doing so predominantly online, I completely agree that the Internet should be neither the only resource of health information, nor anyone's doctor or guru. As we are our own best authority, common sense should always be our benchmark. These are my principles. And I'm not a politician. 3) targeted multi-micronutrient supplementation when indicated. However unrealistic it might be, this path is - in fact, always has been and always will be, especially when combined with a sound physical activity - the best and proven way of achieving and maintaining optimal health and wellness. It is an open secret that ALL surgical approaches to atherosclerosis - a worldwide and extremely difficult-to-control condition - carry with them the same main shortcoming: By removing obstructions from the diseased vessel walls in order to "restore" impaired circulation, they do NOTHING to stop the underlying disease. Why? Because they treat the results, not the cause. In other words, current medical treatments are not able to fully inhibit the formation and/or progression of atherosclerotic lesions (plaques). In different clinical trials, the maximum efficacy of the standard strategies has been measured at only 30% to 40% (Current Pharmaceutical Design, vol. 13, no. 10, pp. 1031-1038, 2007). As atherosclerosis cannot be reversed, standard medicine only helps to slow down its progression and delay the complications (consequences) in order to "maintain the quality of patient's life," as they put it elegantly. Actually, this is an honest and accurate statement, another way of admitting that doctors' power is limited here. Obviously, as a nutritionist I was recommending various nutritional programs, health regiments, and blood-flow improving dietary supplements. But I kept getting mixed results, to say the least. Then, by a stroke of luck, I came across the concept of nutritional revascularization and found it really effective in improving and - over a period of time - restoring circulation in the arteries affected by atherosclerotic plaques (lesions). So far, this time-tested and simple concept - so simple that, at first, its simplicity makes it difficult to believe - has helped a countless number of my clients and customers to reduce the buildup of arterial plaques naturally - without the need for meds and surgery. And it continues to amaze even the most skeptical people, including medical doctors and other health care professionals. Considering the prevalence of cardiovascular risk factors worldwide for both men and women of all races, the nutritional formula for arterial cleansing truly deserves the title of One of the Most Important Dietary Supplements to Take. Although still little known and in little esteem among all sorts of professionals, especially in medical field, in my experience it has proved to be truly effective in improving cardiovascular health. The fact, then, is that we are NOT completely helpless when it comes to atherosclerosis! Scarce but existing nutritional and medical evidence strongly indicates - not absolutely but with a very high order of probability - that the nutritional measures can halt and reverse the atherosclerotic processes in the body. Back in 1998, for instance, an editorial in the New England Journal of Medicine encouraged - for the first time ever! - the use of nutritional supplements to reduce the risks of cardiovascular disease. (Continuing research has proven the nutritional approach right, but medical establishments still regard it as "controversial;" that is another way of saying "not completely verified."). Up to day, however, there have not been any outcome studies documenting that the nutritional arterial cleansing formula does not work - as regulators and others are opposed to doing the research. Why? Because so many people have discovered that the nutritional arterial cleansing formula does work and poses no danger to human life (there has not been a single reported fatality due to arterial cleansing itself). Here's the paradox in modern health care: medicine has never been better, but we are getting sicker and degenerative diseases continue to increase and appear at younger ages. Atherosclerosis can be found to begin even in the fetal period (Pre-clinical atherosclerosis evaluated by carotid artery intima-media thickness and the risk factors in children [PMID:17376303]). Such is the reality of orthodox medicine (read: the Big Pharma) today - not some conspiracy theory! By the way, double-blind, placebo-controlled, crossover studies - the medical gold standard of research - were great, but only for infectious diseases. As it is impossible to hold all variables the same, that medical standard, still in force, needs to be replaced by the monetary gold standard, that is by the true studies done on the outcome of the patients. In times of declining trust, it is not easy to figure out which advice or program will fit your needs. Obviously, before you reach for your credit card you would like to be sure that you're making a well-informed decision and your hard-earned money will be really well spent on improving your cardiovascular health. I personally guarantee the efficacy and safety of the recommendations provided here. And I am sure that, when applied properly and wisely, they can be of great benefit to your arterial health or the health of someone you love or hold dear. So, if it is a natural method to help you wash away the artery-clogging plaque - the nutritional revascularization you are looking for, your search is over. Look no further. You are at the right place. One day, I received a phone call from a concerned customer of ours who was complaining about her blood pressure dropping down after taking the Formula. "It makes me sluggish and tired. It's too low!" she cried. Obviously, she was not only concerned, but also frightened. As we've gotten used to receiving such "alarming" calls, I surprised her with a question: "Are you taking any blood pressure medication?" "Of course, I am!" she said. "I've been doing it for years." It took her quite a few minutes to realize what was happening. Simply, by supporting the cardiovascular function naturally, the nutritional arterial cleansing formula was trying to help her body to regulate the blood pressure on its own - without being forced to do so by synthetic substances foreign to her body. "Should I stop taking my medication then?" she asked, rather naively. "Absolutely not!" I almost shouted at her. "Just reduce the dosage of the Formula and go to see your doctor, as he needs to adjust the dosage of your antihypertensive drug you've been taking. That's all." Let me clarify the last part as it may create confusion and distress for some readers, especially the uncertain and faint-hearted ones: If you have high blood pressure and/or are taking medication for that, it does not mean that you cannot take the arterial cleansing formula; on the contrary, not only will it help normalize your blood pressure naturally but it will also radically reduce your risks of various cardiovascular health problems. Speaking of the devil, an overuse of high blood pressure drugs has been linked to a faster mental (cognitive) decline. Remember that before it's too late. 3) watch your doctor beginning to notice and acknowledge positive changes in your cardiovascular status (after 8-12 weeks) - until, finally, he or she will suggest a lower dosage of your medication/s. A brief digression, if I may: Prevention and treatment of atherosclerosis through the nutritional and micronutrition modifications hasn't gained much traction in the U.S. and worldwide because there are lots of interests vested in developing an expensive and sophisticated, acute rather than preventive, medical system based on treating disease mainly with pills and surgery. Also, drug companies, instead of focusing on the chronic micronutrient deficiencies or the nutritional gaps (left by a poor diet, high stress, and malabsorption issues) that are the root cause of atherosclerosis, they merely address the high levels of cholesterol that are the consequence of it. It is no wonder, then, that medical establishment wants to maintain the status quo, that is to keep us all focused on the modern (conventional) medicine as the only "true" evidence-based medicine and as such presently practiced by most physicians. In essence, evidence-based medicine (EBM) can be defined as "a verdict based on science that the proposed [medical] intervention has a high probability of being the most appropriate for a particular disease process, analogous to criminal law where a conviction requires the evidence to be beyond reasonable doubt." (Intensive Care Monitor,Vol. 19, Issue 4). It's just a pharmaceutical myth that allopathic (drug) medicine is the only way to get well. It has been documented over and over again that only by filling in the nutritional gaps left by a poor diet, high stress, malabsorption issues, and other deficiency-related concerns, we can fully recover our health. But how honest is the evidence on which that verdict is based? Are the medical truths really and truly "objective", "scientifically validated" and credible? Unfortunately, one of the vital challenges that have been facing today's modern medicine is... perjury! It appears more common than realized. Whether you are an ardent believer in alternative medicine, a skeptic, or are simply baffled, we do hope that this information will help you lay to rest your doubts about the concept of nutritional arterial cleansing. Is it a panacea, a cure-all? Obviously not. Whether a believable phenomenon or not, the fact remains that the micronutritional artery cleanse is for real and does work. For a lot of people. And it has been proven over and over again to be a winning formula vitally important to the health of the arteries at risk of, endangered or affected by atherosclerosis. What is it, then? A wonder drug? No, just a transformational change in micronutrition assisting you in achieving the level of cardiovascular health you never thought possible. Are you still wondering whether or not the nutritional arterial self-cleansing can help you attain and enjoy the healthy, safe and sound life you so richly deserve? We have done our best to avoid most of the medical and non-medical mumbo jumbo that typically makes the explanation of alternative therapies confusing to most people; however, some special and technical terms here and there were unavoidable. The idea of the nutritional arterial cleansing originated in the late 1970s in the United States. An American doctor, a chiropractor by training, came up with a concept of "oral chelation" and started using his own nutritional formula. Thanks to that formulation, a number of people with cardiovascular problems began experiencing an improvement in symptoms. Since then, arterial cleansing has a history of success in reversing the catastrophic effects of atherosclerosis. At Full of Health, we recommend the formula for nutritional arterial cleansing for one main reason: For over twenty years, it has worked for every single person who has seriously applied it. That's why we have decided to go worldwide and share our experience with the public online. We thought that if we could help clients in our practice, we would be able help you and other people around the world as well. We consider it our duty to let the public - often confused or misinformed - know that, contrary to standard orthodox medicine, atherosclerosis sufferers can halt the progression of this serious and potentially deadly condition nutritionally; that in the natural way they can substantially reduce the need for surgery and/or widely prescribed medications that mainly alleviate the symptoms and/or slow down their progression, and may prompt multiple side effects. Since 1998, we have been supplying with the nutritional arterial cleansing formula our clients and customers in 33 countries: the United States (including Virgin Islands, Hawaii, Puerto Rico), Canada, Malaysia, Australia, the United Kingdom, South Africa, Thailand, New Zealand, Germany, Belgium, Trinidad, Mexico, Italy, Pakistan, Singapore, Mauritius, Suriname (South America), France, Bolivia, Russia, Croatia, Poland, Portugal, Denmark, Israel, Malta, Czech Republic, Ireland, Switzerland, China, Spain, Brazil, and Paraguay. keep the blood slippery (but not thinner!) enough to have it flowing more freely and being less likely to clump up and form blood clots, causing a heart attack or stroke. protect the body's supply of endothelium-derived nitric oxide and, therefore, preventing further formation of atheromatous plaque. Negative changes in the endothelium occur also due to the fact that arteries are subject to a gradual aging leading to a progressive stiffening and loss of their elasticity. In case of atherosclerosis, however, arteries age prematurely. As a result, they become less responsive to blood-borne chemical messengers and are unable to relax normally, hence, their decreased ability to deliver blood where it is needed most. Here comes nitric oxide, one of the most powerful vasodilators known, also having powerful antioxidant activity. Although short-lived, it plays multiple roles in the entire cardiovascular system. By relaxing the smooth muscles and increasing the diameter of the blood vessels, nitric oxide is a principal regulator of blood pressure. It also prevents the adhesion of platelets and white blood cells that form arterial plaque. Conversely, arteries that have been damaged by atherosclerosis have impaired synthesis of nitric oxide which has been also linked to nutritional imbalances and deficiencies as the contributing factors. CLAREVASA also fills in the nutritional gaps left by poor inadequate diet, prolonged (chronic) high stress and often undiagnosed malabsorption and/or bowel problems. Thanks to its high concentration of selected nutrients, the formula for arterial cleansing helps remove the plaques from plugged arteries and, therefore, reduce the effects of the plaque buildup by addressing the cause of the problem, that is by eliminating the factors which created the buildup in the first place. In other words, the nutritional arterial cleansing is geared to eradicating atherosclerosis, rather than relieving its symptoms. It is difficult to underestimate then its role in the arterial rejuvenation and the prevention of premature arterial aging as well. For over twenty years, thousands of people have proven the efficacy of this approach. Today, CLAREVASA continues to amaze even the most skeptical people, including medical doctors and other health care professionals. It has worked for every single person to a full or partial extent depending upon the degree of commitment of its users. And, last but not the least, there has not been a single reported harm done by using the micronutrient artery cleansing formula. But don't take our word for it - try it out yourself. CLAREVASA is manufactured in the USA with domestic and imported ingredients in a GMP-compliant facility. The manufacturer's facility is routinely inspected by the FDA and approved by the Canadian Health Organization and the Commission of the European Communities. As you can see, there is no one "miracle" ingredient in CLAREVASA. All micronutrients in this formula play an indispensable role in promoting optimal function of endophelium - the innermost lining of the entire vascular system. When the endophelial cells do not operate at their best, the cardiovascular health is compromised, setting the stage for the development of degenerative processes. Therefore, by providing people suffering from atherosclerosis with the micronutrients they absolutely need, CLAREVASA helps to restore and enhance the micronutrient status responsible for the optimal endophelial function. required especially by the elderly because of their longer standing micronutrient deficiencies and poor assimilation of all nutritional factors which adequate function is beyond standard diet and/or supplement intake. Only micronutrients used in high doses can have a beneficial and therapeutic effect. Then, and only then, you can expect non-ambiguous results. It also should be noted that the amounts of micronutrients obtained from CLAREVASA do exceed the established Daily Value (DV) what makes this formulation - according to some experts - a mega-dose nutritional supplement. These amounts, however, recommended on the basis of observational evidence and our clinical experience supported by existing research are safe and absolutely necessary in the process of effectively triggering the artery cleansing reaction - a detergent-like action enhansing and optimising the endophelial function. gradually and gently over a period of time. slows down the chronic degenerative processes in the body caused by micronutrient deficiency diseases, such as atherosclerosis, osteoporosis osteomalacia, thyroid deficiency and colorectal cancer. As opposed to taking drugs, taking CLAREVASA is something you can do on your own - and get results. You may have noticed that CLAREVASA, as a strictly nutritional supplement, does NOT contain EDTA (EthyleneDiamineTetraacetic Acid) - a synthetic amino acid used in other commercial products. According to some experts, EDTA is poorly absorbed through the intestinal tract. The best way it can have an effect on the arteries is by aministering EDTA directly into the bloodstream, as in the intravenous (IV) chelation (pronounced: “key-lay-shun”) therapy - an expensive out-patient treatment available in a licensed physician's office or clinic. However, IV chelation is not fully recognized as effective against cardiovascular disease by orthodox medicine; therefore, it is not covered by Medicare* and most other insurance programs for this purpose. *In the United States, Medicare is a federal government social insurance program that guarantees access to health insurance for certain Americans and legal residents aged 65 and older, and younger people with disabilities, people with end stage renal disease (Medicare.gov, 2012) and persons with amyotrophic lateral sclerosis (ALS). The nutritional arterial cleansing formula is so simple and astonishingly effective that it continues to amaze even the most skeptical people, including medical doctors and other health professionals. As opposed to standard medical methods that focus on reducing the effects of the atherosclerotic plaque after it has built up, the nutritional arterial cleansing concentrates on eliminating the factors which do create or already created the buildup in the first place. The combination of the above actives provides comprehensive and balanced support for the cardiovascular system. As high nutritional status equals higher cardiovascular function, the key goal for the micronutritional artery cleansing is to bathe the whole cardiovascular system in "super nutrition." No wonder that it has been found effective in emulsifying and - over a period of time - gradually washing out the obstructions from the diseased vessel walls. By playing a very important athero-protective role in the process of fighting off and reversing atherosclerotic deposits, the micronutritional artery cleansing helps to prevent their further build-up. Also, it helps to release already deposited fat globules from the artery walls into the bloodstream and decrease their size. The primary purpose of arterial cleansing, however, is to initiate self-healing processes in the innermost part of arterial lining (endothelium). In this way, over a period of time the accumulated buildup of fatty plaques in damaged arteries begins gradually to cease. Such a comprehensive, targeted nutrient-dense supplementation creates a detergent-like action in the entire circulatory system - enabling the body to emulsify and wash the atherosclerotic artery-clogging deposits away. One of its mechanisms of action is to improve fibrinolysis - the body's processes of breaking down (dissolving) blood clots, thus preventing them from growing and becoming problematic. Thanks to the emulsifiers, such as choline and methionine, the plaques are kept in solution and then scrubbed away safely and gradually. In other words, the micronutritional artery cleansing process does not pull away "chunks of plaque" that could plug up the arteries further downstream! This common misconception should to be made clear to all who are about to undertake the arterial cleansing for the first time. According to a Japanese trial funded by Pfizer, even an intensive, aggressive blood pressure and lipid-lowering treatment didn't slow down atherosclerosis any better - the primary endpoint of coronary plaque volume, the lumen and vessel volume weren't different (Impact of combined lipid lowering with calcium channel antagonist-based blood pressure control on coronary plaque regression: MILLION Study" SCAI 2015). So here's the important statement to digest and keep from now on: What sets the concept of nutritional arterial cleansing apart from conventional, standard medical methods of treating atherosclerosis is a completely different mechanism of action, partly still unknown, exerted by the nutritional factors on your cardiovascular system. This fact needs to be acknowledged at the outset. Accepting it will help you focus - consistently and persistently - on improving and maintaining your arterial health through optimum nutrition. We are not saying this is the "only" way to fight and, eventually, win the cardiovascular battle against heart disease, stroke and peripheral vascular disease. But this is one of the best and, most importantly, the safest ways to do so, we dare to say. Once again, whether you are an ardent believer in alternative medicine, a skeptic, or are simply baffled, we are sure that CLAREVASA will help you lay to rest your doubts about the concept of nutritional arterial cleansing. It may sound too good to be true, but it is for real and can help you achieve and enjoy a level of cardiovascular health you never dreamed possible! The following dosing regimen will help you get the most out of the nutritional arterial cleansing on your road back to cardiovascular health. Please read it thoughtfully. The life you can help to save may be your own. The nutritional artery self-cleansing is a different route to contribute not only to your freedom from cardiovascular disease, but also to your optimum health, that is your ability to function at your best. Actually, this is a direct, honest acknowledgement of the modern medicine's limits. But there is no need to be upset by this bitter truth and lose hope, especially when help is at hand - a little-known but time-tested specialty nutritional formula for arterial self-cleansing. CLAREVASA offers real help for anyone in need of repairing or redesigning stressful, over-busy and self-distructing "modern" lifestyle that has endangered and/or destroyed the cardiovascular health of so many today. The major obstacle to any decision-making is the "hardening or narrowing of the attitude," or - in other words - psychosclerosis. It is usually rooted in our fear of change. As for the nutritional arterial cleansing, you may use all your intelligence to find fault with this concept which is very different from the typical medical treatment and completely ignored by conventional doctors, therefore, easy to refuse. If you really want to change then, you will need more flexibility in considering the "non-standard options." It may enble you to see more of what is possible for you - and to become less rigid in your idea about nutritional supplementation. In other words, instead of dwelling on all the reasons why the nutritional arterial cleansing formula would NOT work for you, you will concentrate on why it would. It all starts with changing our thinking from "whether" to "how." If you begin to focus on "how" you will stop considering whether it is possible or not. In this way, your entire attitude toward your thinking habits will begin to change for the better. By overcoming psychosclerosis then, you will be able to overcome atherosclerosis with the nutritional cleansing formula - supported by dietary and lifestyle changes - leading the way. If you are 50 years old, there is a high probability of atherosclerosis already present in your arteries, even if you are showing no symptoms. While debating on the nutritional arterial cleansing, please consider the results of a cross-sectional study of 650 asymptomatic people, presenting no symptoms of the cardiovascular disease. all women by 70 years. common iliac arteries - two branches of the abdominal aorta serving the pelvis and eventually legs (as the femoral arteries). Please keep in mind that these are the findings published in the medical journals - not in some "alternative magazines" critical of the medical establishment and drug industry. Thompson Randall et al. Atherosclerosis across 4000 years of human history: the Horus study of four ancient populations. The Lancet 2013;381:1211-1222. Allison MA, Criqui MH, Wright CM. Patterns and risk factors for systemic calcified atherosclerosis. Arterioscler Thromb Vasc Biol 2004;24:331-336. The golden age bracket for the nutritional arterial cleansing begins in the late thirties and extends into the eighties and nineties. Even the oldest participants - nonagenarians (ninety and over) - can obtain good results. If you knew a solution to reducing your spouse's or best friend's risk of a heart attack or stroke without the need for drugs or surgery - wouldn't you want to tell the world? However, according to the National Academy of Sciences, it could take decades for natural supplements to reach mainstream doctors and hospitals. It could also take endless years for the National Institutes of Health in Washington D.C., to complete their testing process and confirm what nutritionists have known for years: Dietary supplements do work! Those who think that micronutrients, vitamins and anti-oxidants are not necessary and that optimum nutrition is not important, state that the nutritional arterial cleansing cannot and does not work. Why? Because they just don't want to learn! What about the results - not only heard about, but also seen and experienced by people who have undergone the nutritional arterial cleansing? The nutritional arterial cleansing has a history of success in addressing cardiovascular health problems, reversing the catastrophic effects of atherosclerosis in the heart, the lower extremities, and even in the brain. Its subsequent use by hundreds of thousands of people verifies the efficacy of this concept. What is most important is that there has not been a single reported fatality due to the nutritional arterial cleansing itself. 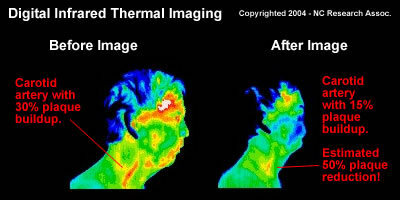 migraine and other vascular/cluster headaches, often related to high blood pressure. Most of people on the nutritional arterial cleansing also report increased energy and improved tactile sense (sense of touch). Therefore, those who state that the nutritional arterial cleansing cannot and/or does not work should answer the following question: "How can you explain the results seen in multitudes of people over the years?" Probably you've heard it before: In twenty-three years in the United States only, 2,438.000 people died from pharmaceutical drugs and 10 people died (allegedly) from vitamins. The answer is an unequivocal "Yes!" As all medical therapies always include some degree of risk, just the opposite is true with nutritional supplements. They are safe and, generally, produce no so-called side effects. However, if the initial intake of the nutritional arterial cleansing formula is too high, it can cause in some participants certain discomfort, usually infrequent and transient, often due to a suboptimal liver and/or kidney function. This is minimal and hardly worth considering when compared to the catastrophic and death-dealing effects of doing nothing, and the consequent severe heart attacks or strokes which inevitably follow, sooner or later. It is difficult to accurately predict the extent of the nutritional arterial cleansing success in any specific case. Its efficacy depends on many factors, including an overall health status of a participant, existing and/or pre-existing medical conditions, the main organs' function, such as of the liver, kidneys, lungs, etc. little or no evidence of improvement shows 5 percent of the cases. As this is a self-help program, a participant's evaluation prior to the nutritional arterial cleansing is not always needed. However, most of those who decide to give this approach a serious try have had some kind of evaluation done by their physicians, i.e. cholesterol and triglyceride levels, plethysmography, Doppler ultrasound, EKG, cardiac output evaluation, etc. The nutritional arterial cleansing should be considered when there are very first signs of a decreased blood supply and/or a presence of arterial plaque. Please keep in mind though that if you are 50 years old, there is a high probability (68% in women, 82% in men) of atherosclerosis already present in your arteries, even if you are asymptomatic, that is showing no symptoms (The Lancet 2013). the participant's cooperation in completing the nutritional arterial cleansing. The last factor - the cooperation of the participant - should not be taken lightly. An intensive therapeutic diet and nutritional schedule also need to be implemented, as well as a definite exercise program. A complete change in the lifestyle habits of the participant is expected as it makes the nutritional arterial cleansing program - the subsequent improvement in arterial circulation, complete. The golden age bracket for the nutritional arterial cleansing begins in the late thirties and extends into the eighties and nineties. Even the oldest participants - over ninety - can obtain good results. Can the Plaque Get Dislodged and, then, Stuck in Other Blood Vessels? "Evidence presented shows that calcified plaques may be reversible. This reversal appears to result in the destruction and dissolution of the lipid-rich scaffolding of fibrous tissue, and leads to the formation of a central core structureless that, in time, may lead to the formation of a necrotic, atheromatous core." Dissemination of opinions like this one just keeps pushing people away from the nutritional arterial cleansing, many of them intelligent and educated, which is a real pity. No wonder cardiovascular disease has been killing mostly people in high-income countries! By talking about the "destruction and dissolution" of atheromas, this purely hypothetical opinion refers to arterial plaque as "calcified (...) lipid-rich scaffolding of fibrous tissue" which is, in fact, rather mechanistic and simplistic view of the plaque buildup in arteries. First of all, nutrients in dietary supplements do not "destruct" anything, atheromas included! Why? Because, by definition, they nourish (never destruct!) and heal - a characteristic which is not true for any medicine. For this reason, the nutritional arterial cleansing both helps make the plaques disappear and prevents the "formation of a necrotic, atheromatous core." That's how the body functions and works - by nourishing and healing itself in order to maintain homeostasis and prevent any damage to it. That's why a "medicinal cure" cannot be made by drugs! "Because a drug adds nothing to nutrition," as noted - rightly so - Dr. J. H. Tilden, M.D. "Optimum nutrition is the medicine of tomorrow," said the late Dr. Linus Pauling, one of America's greatest scientists, holder of forty-eight honorary PhDs and two unshared Nobel Prizes. What happens to atheromatous plaques then? By the complex nutritional action, first, they are being safely - gently and completely "digested," then, gradually and continuously removed by the excretory system along with all metabolic waste via the kidneys, liver, bile, large intestine, skin and the sweat glands. What about that "formation of a necrotic, atheromatous core"? Huh? Oh, nothing! Simply, it does not happen during the nutritional arterial cleansing. Why? Because, once again, the nutritional arterial cleansing formula does NOT pull away "chunks of plaque" that could plug up the arteries further downstream. One of its mechanisms of action is to improve fibrinolysis - the natural body's processes of dissolving and keeping atherosclerotic plaques in solution, thus, preventing them from growing and becoming problematic. That is what sets the nutritional arterial cleansing apart from conventional, standard medical methods of treating atherosclerosis. Are you still wondering whether or not the nutritional arterial cleansing can help you achieve the healthy life you so richly deserve? Why Do I Have to Take So Many Pills?! "What?? 10 pills per day?! If I did more than five a day I would be in agony or with an ulcer in my stomach, not to mention a constant diarrhea!... Is this just some method of getting people to take more and BUY A LOT more bottles?... It's just another snake oil scheme!... Are you legit?... If I take it to my doctor, he will laugh at me... I may look into reporting this to the FDA for investigation..."
As at its core, skepticism is a way of thinking devoted to inquiry, we don't mind these derogatory remarks and pseudo-questions, although frustrating at times. In most cases, they are a typical example of the "doubting Thomas" mind-set looking for a "scientifically proven silver bullet," a quick fix still to be found. Here's the fundamental difference between "supplements" and "pharmaceuticals": As opposed to drugs, dietary supplements provide the body with highly concentrated micronutrients (not drugs foreign to the body) - necessary dietary factors that supplement the diet in order to optimize nutrition. 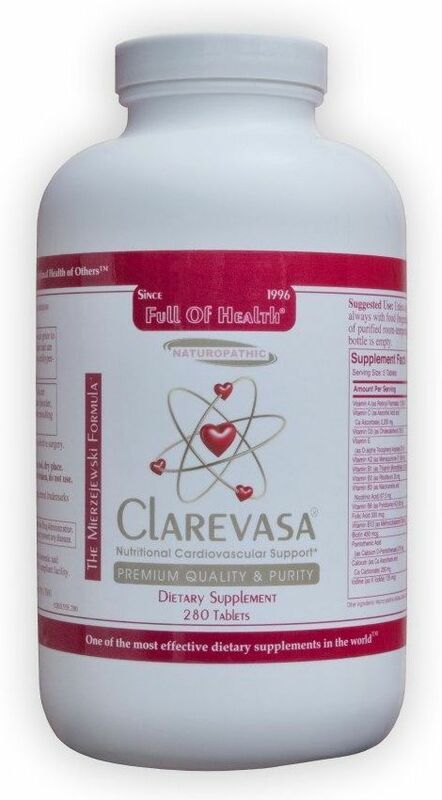 CLAREVASA-like specialty supplements, then, provide the cardiovascular system with what it needs most in order to help it function at its best. In other words, CLAREVASA is not a magic "quick-fix." It has been proven, however, that it helps to prevent and/or stop or even reverse atherosclerotic processes, simply by providing the body with the nutrients that are missing from our daily diet or are below optimal levels, mainly due to our today's predominant lifestyle and dietary indiscretions - another way of saying "eating things that should not have been eaten." Going back to the question, the answer would be that the amounts of nutrients obtained from CLAREVASA do exceed the established Daily Value (DV) what - according to some experts - makes this formulation a mega-dose nutritional supplement. But these amounts, though, recommended on the basis of observational evidence and our clinical experience supported by existing research, are safe and absolutely necessary in the process of effectively triggering the arterial cleansing reaction. Only micronutrients used in high doses can have beneficial and therapeutic effect. Then, and only then, you can expect non-ambiguous results. Why the Nutritional Arterial Cleansing Isn't Being Done Routinely!? Existing evidence indicates - not absolutely but with a very high order of probability - that the nutritional arterial cleansing can halt and reverse the atherosclerotic processes in the body. "If this is so good, why my doctor doesn't know about it?... Why don't we see it on television?... Why this is not being taught in medical schools?..." Well, it's rather a naive presumption that "whatever is good should be known, publicized or taught." And the answer to these questions is quite obvious: the mainstream medical establishment is not interested in an integrative approach to disease. As a result, most doctors don't care to discuss anything other than their own methods of treatment. And your doctor, by the way, most probably doesn't know much - and often doesn't even want to know - about naturopathy. And what's even more sad is that due to the fact that atherosclerosis has been pronounced incurable, medical establishment considers anybody who claims otherwise a quack, a purveyor of pseudoscience promoting a questionable idea along with questionable products, if any. It should be realized that in a large percentage of cases - approximately 50 percent - the first symptom of cardiovascular disease is a fatal heart attack. But this need not be, because atherosclerosis is both preventable and, in most cases, reversible. Why There Is No Guarantee That CLAREVASA Will Work? lifestyle - dietary habits, fitness and stress levels in particular. Therefore, due to the known (and unknown) variables involved during this complex, nutritionally-induced process of halting and/or reversing the atherosclerotic changes, we cannot guarantee results 100%, simply, because we are not in total control of cardiovascular health of those who need and seek help with us. In other words, we cannot guarantee that you will respond optimally to the nutritional arterial cleansing. We can guarantee, though, that if you follow our recommendations to the letter, you'll be much better than when you started. little or no evidence of improvement shows 5 percent of the participants. The critics and opponents of the nutritional arterial cleansing - those who believe that complementary and alternative medicine count as "placebos" - say that any improvements among cardiovascular patients undergoing the nutritional revascularization can be attributed to the placebo effect and lifestyle changes already discovered and promoted by conventional medicine, such as quitting smoking, losing weight, eating more dark green vegetables and omega-3 fatty acids, and exercising regularly. Phew! Whether placebo or not - the fact is that the nutritional arterial cleansing does work. For a lot of people! Why is the targeted, CLAREVASA-like nutritional supplementation so important for your cardiovascular health? Because if you are 50 years old, there is a high probability of atherosclerotic plaques already present in your arteries, even if you are asymptomatic, that is showing no symptoms of this treacherous disease. As the old saying goes, an ounce of prevention is better than a pound of cure. This is absolutely true in case of atherosclerosis. Therefore, the nutritional arterial cleansing needs to be viewed primarily as a preventive measure to arrest the development and progression of arterial lesions, and to initiate their removal. 68 percent of asymptomatic women. Enough said, no further comments and explanations are necessary. The numbers speak for themselves. No matter how hard you try, you can't ignore them. Okay, let me repeat myself one more time: By allowing your body to succumb to atherosclerosis, you will greatly increase your chances of getting a heart attack, stroke, vascular dementia, or peripheral artery disease. But if you explore with an open mind and heart the concept of nutritional arterial cleansing and apply it effectively in your life, it might help you - not absolutely but with a very high order of probability - to prevent, fight and reverse the inevitable effects of this ruthless killer. The nutritional arterial self-cleanse contributes to optimum nutrition by providing micronutrients, vitamins, minerals and anti-oxidants necessary for your cardiovascular health. It can help you not only to rejuvenate arteries and prevent their premature aging, but also cut your current or future dependence on medications such as anti-cholesterol drugs, aspirin, blood thinners, diuretics, nitroglycerin, etc. Don't make excuses, then. Don't wait for somebody to hand your arterial health over to you. You've got to do it yourself by accepting responsibility for taking care of your own health. It requires, however, a complete nutrition and optimal micronutrient status. It can be achieved by a concerted effort of diet, lifestyle, and targeted - tailored to the condition-specific needs - dietary supplementation supporting the entire cardiovascular system. If these requirements are met - then, and only then! - it can be said that atherosclerosis truly is a reversible condition in almost every case. Sadly, complete nutrition is rather difficult to achieve nowadays as we have been almost totally surrounded by unhealthy food choices, living sedentary lifestyle and dominated by the multinational Big Pharma. 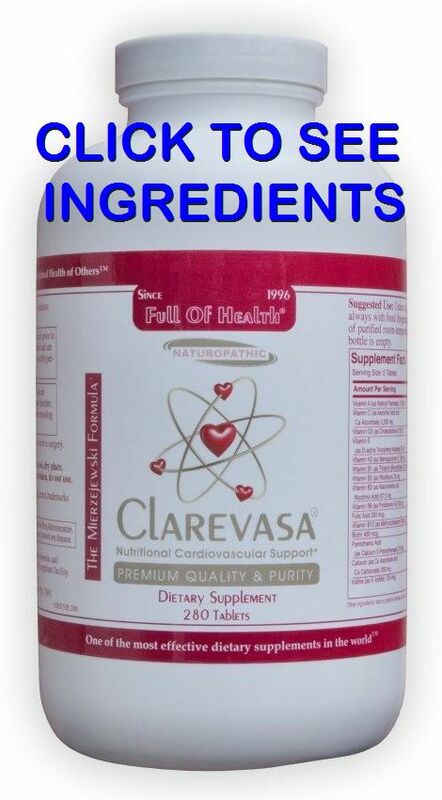 For this reason we think of CLAREVASA as a unique contribution to the cardiovascular health of today's society; that is being of help to those in need of repairing or redesigning stressful, over-busy and unhealthy, self-distructing "modern" lifestyle that has endangered and/or destroyed health of so many today. In our opinion, the nutritional arterial cleansing is one of the natural, practical and doable ways of overcoming the current challenges and threats to the cardiovascular health of millions of people all over the world. The brutal truth - actual and still not obvious to many people - is that the atherosclerosis threat is real and has become more common today than ever before. The threat up with which we must not put! Why? Because this dreadful, treacherous condition can not only be controlled extremely well through nutritional measures, but often completely reversed. Try it out and you will be the evidence. Reduce and/or Regress Atherosclerotic Plaque Nutritionally. Almost every month we hear new stories from relatives, husbands, wives, daughters or sons of those who have benefited from the nutritional arterial cleansing formula which goes far beyond the standard "cut or medicate" treatments. Also healthcare professionals share their experiences with us. They all admit that there is a successful method to halt the progression of atherosclerosis and reduce or even remove the buildup of atheromatous plaque inside the arteries, other than temporary medical or surgical interventions. We do believe that all information is valuable when placed in a proper perspective. Although not a substitute for a "valid science", personal experiences should be taken into consideration, especially as a means of communicating how some people get well. Arterial Cleansing: Sorry, But You've Got to Exercise! As the saying goes, a little workout never killed anyone. In fact, the pandemic physical inactivity is now seen as the '21st century smoking' being responsible for about 10 percent of cases of premature heart disease. CLAREVASA: How Is Your Digestion? CLAREVASA has no "side effects." However, few people, especially those who have digestive complaints, initially may experience some discomfort. It does not mean there's something wrong with CLAREVASA if you cannnot stomach it. Usually, it is an indication of faulty digestion and, therefore, a strong possibility of only partial utilization of the nutrients in CLAREVASA. Remember: Not only are you what you eat. You are what you assimilate! The nutritional arterial cleansing can complement or - in some cases - even replace the intravenous (IV) chelation therapy. It may also help cut your dependence on medications such as anti-cholesterol drugs, aspirin, blood thinners, diuretics, nitroglycerin, etc. Are you still wondering whether or not it can help you achieve the healthy life you so richly deserve? Or maybe you're just making excuses and waiting for somebody to hand your arterial health over to you. If so, it's not going to happen. You've got to do it yourself by taking responsibility for your own health. If not, you may fall victim to the cardiovascular diseases that are taking so many lives away from so many people, even at the very moment you are reading this website. In other words, if you allow your body to succumb to atherosclerosis, you will greatly increase your chances of getting a heart attack, stroke, vascular dementia, peripheral artery disease, or renovascular disease. While discussing the nutritional arterial cleansing, it's impossible not to mention David Rowland. Thanks to him, thousands of Canadians alone are familiar with this concept originated in the late 1970s by an American chiropractic doctor, Kurt Donsbach. Over the years, as a brilliant entrepreneur and a tireless educator, David Rowland, independently and almost single-handedly, had built quite a vast army of so-called certified nutritional consultants. As a result of the collective effort, at some point, his FLW became a buzzword among Canadian health aficionados. Unfortunately, in the advent of the Internet era, David Rowland - in my opinion, underestimating its true potential - did not turn it into his advantage early enough. So, when, years later, Canadian federal legislation officially favoured the pharmaceutical industry, by 2013 - after nearly 30 years of hard work - David Rowland, finally, decided to dissolve his army of nutritional consultants. Although I have listened to Mr. Rowland on many occasions, I have never had a chance to talk to him in person. 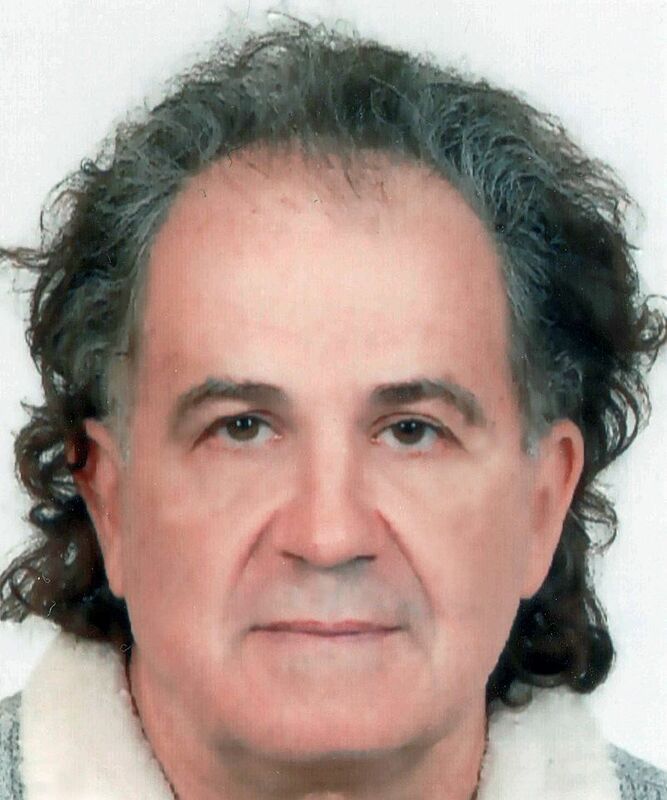 But I still think of him as one of my gurus who introduced me to the fascinating world of nutrition, as well as encouraged to take an active interest in the field of nutritional supplements. I'm Andrew Mierzejewski. And on my behalf and countless others, I would like to take this opportunity to give a hearty "thank you" to David for making, against all the odds, a true difference in the arterial health and well-being of people in North America and beyond. A huge kudos to Mr. David Rowland for his invaluable contribution to the nutritional approach to cardiovascular health as an alternative to drugs and surgery, and for bringing to public awareness the importance of specialty, targeted dietary suplementation in achieving and maintaining optimal arterial health.